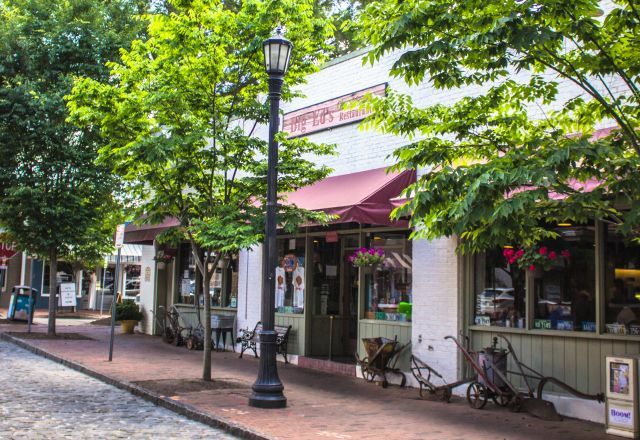 Moore Square is a time-honored, historic district located in downtown Raleigh, comprised of a one-block radius on all sides of the park/square and of historic City Market. While the park is closed for redevelopment into a 21st-century space, the surrounding district buzzes with life (and nightlife). It is a charming mix of old and new, with cobblestone streets juxtaposed against modern upgrades like the new GoRaleigh Transit Station, a multimillion-dollar renovation that serves more than 15,000 commuters each day. The district&apos;s rapid ascension has been fueled by the construction of high-density residential developments, including the 23-story luxury apartment tower SkyHouse Raleigh, the 223-unit Edison Lofts and The Lincoln apartments. There are more than 500 additional apartments slated to arrive soon, adding to the big-city feel of Moore Square. 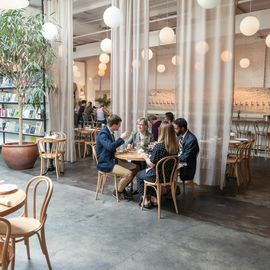 A visit to Raleigh is not complete without dining in one of restaurants operated by chef Ashley Christensen, named by the James Beard Foundation in 2014 as Best Chef: Southeast. In the Moore Square district, go to Beasley&apos;s Chicken + Honey for extraordinary fried chicken, Southern sides and craft cocktails, or a perhaps you’d prefer the house-made burgers and shakes next door at Chuck’s. 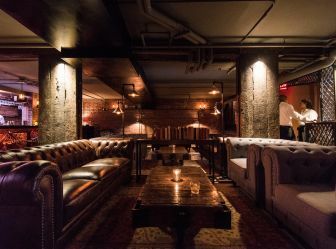 For a metropolitan cocktail bar experience, check out Niall Hanley’s newest venture—the dark, sophisticated underground space at Watts & Ward, located below neighborhood favorite Caffe Luna. Don’t miss Bida Manda and Brewery Bhavana from visionary restaurateurs (and brother-and-sister combo) Vansana and Vanvisa Nolintha, as well as the district’s newest introduction, Royale, serving simple and savory French bistro selections. 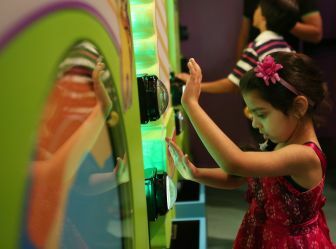 Making this district a popular family destination is Marbles Kids Museum, attracting more than 600,000 visitors each year and delivering purposeful play to children and their families. Marbles is also home to one of the world&apos;s most immersive movie experiences: the Wells Fargo IMAX Theatre at Marbles boasts N.C.’s only 3D-capable giant screen. 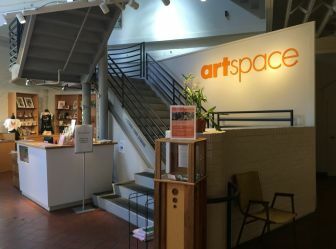 The Moore Square district also has a variety of art galleries, anchored by Raleigh’s Artspace—a 30,000-square-foot, historic building that has 25 dedicated artist studios. Visitors can meet and interact with working artists, take a class or purchase original artwork from individual studios or from the Artspace gift shop. Regular events featured at Moore Square include the Raleigh Arts Festival, Artsplosure, Movies in the Park, the Street Painting Festival and the Moore Square Farmer’s Market. 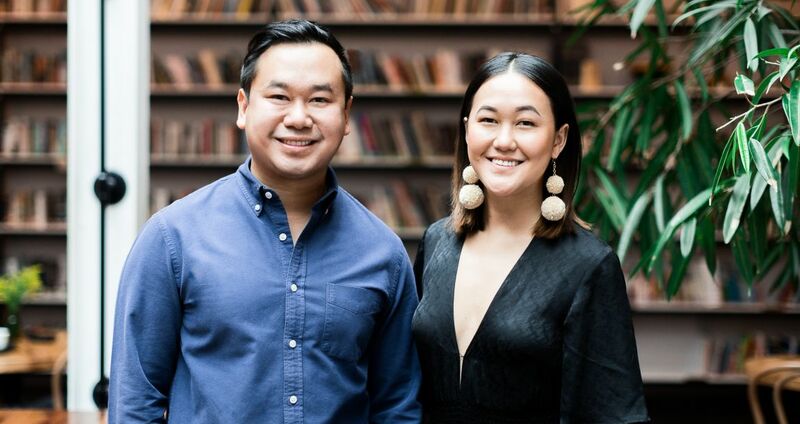 Born in Laos, siblings Van and Vanvisa Nolintha founded two thriving businesses in downtown Raleigh. 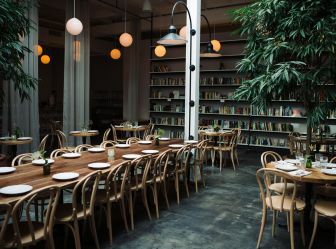 Bida Manda is a Laotian restaurant specializing in the flavors of their childhood, while Brewery Bhavana is a brewery, bookstore, flower shop and dim sum restaurant all in one.